Enjoy a seamless stay and great benefits of our hotel's business services, amenites, and preferred negotiated rates. Companies with frequent business travel to Kingston, Ontario may enjoy special corporate hotel rates. 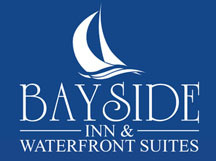 To apply, simply call directly to (613) 539-4493 or email us at info@baysidehotelkingston.com with your company name and the number of anticipated room nights per year. Our sales team will follow up with you within 24 hours.